Driving up the hill from Meursault, the hamlet of Blagny, founded by the Cistercian monks in the 12th century, seems as if it is another world from the villages below. The air is pure, there is stillness and a fresh breeze blows across the Côtes de Beaune. La Genelotte is the domain’s signature wine, a monopole, full of limestone rocks on a bed of clay. 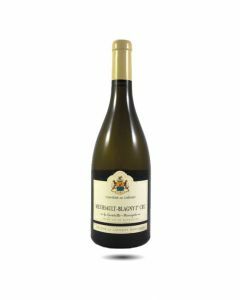 This Meursault is powerful and intense with lovely structure and a vein of lively acidity running through it. On the palate there is lots of juicy Chardonnay flavour balanced with structure and good nervosity.